The apical plasma membrane domain of retinal pigment epithelial (RPE) cells in the eye faces the outer segment portions of rods and cones and the interphotoreceptor matrix in the subretinal space. Two important receptor-mediated interactions between the apical surface of the retinal pigment epithelium (RPE) and adjacent photoreceptors are adhesion ensuring outer segment alignment and diurnal phagocytosis of shed outer segment fragments contributing to outer segment renewal. Both depend on the apical distribution of the integrin family adhesion receptor αvβ5 as lack of αvβ5 in mice causes weakened retinal adhesion and asynchronous phagocytosis. 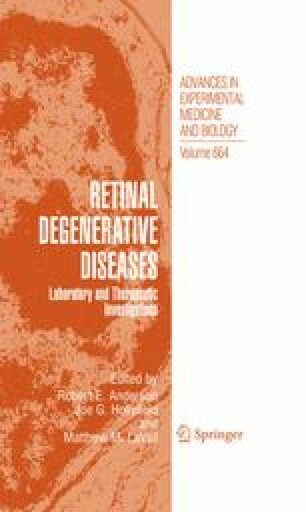 With age, lack of αvβ5 leads to accumulation of harmful lipofuscin in the RPE and to vision loss. Here, we discuss three different possible mechanisms that could generate the exclusive apical distribution of αvβ5 integrin receptors in the RPE. (1) αvβ5 could be apical in the RPE because RPE attachment to neural retina generally or αvβ5 ligands specifically in the subretinal space stabilize apical but not basolateral αvβ5 surface receptors. (2) αvβ5 could be apical in the RPE because it resides in a complex with other components of the phagocytic machinery that assembles at the apical, phagocytic surface of the RPE. (3) αvβ5 could be apical due to mechanisms intrinsic to this receptor protein and specifically to its β5 integrin subunit. This work was supported by NIH grant R01-EY13295 to SCF.